Wide Use: This hammock can be hung indoor or outdoor, it's perfect for patio, garden, backyard, poolside or balcony when you reading, relaxing or sleeping. It offers many ways to lay or sit in it,with zero pressure on whole body. You can enjoy it with your family or your friends. It also makes an awesome gift for anyone. 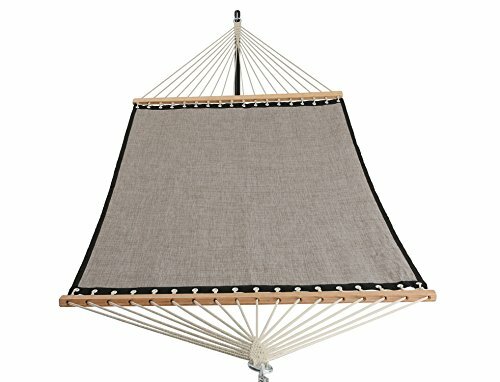 Patio Watcher Hammock can be hung indoor or outdoor, it’s perfect for patio, garden, backyard, poolside or balcony when you reading, relaxing or sleeping. It offers many ways to lay or sit in it,with zero pressure on whole body. You can enjoy it with your family or your friends. It also makes an awesome gift for anyone.